(Newser) – Government scientists have fed dog remains to cats, injected cat remains into mice, and conducted other experiments on animals that one member of Congress says "need to end now." The White Coat Waste Project, a nonprofit watchdog, drew the information from USDA publications for a report it plans to give to Congress, NBC News reports. The group found the experiments to be pointless. "It's crazy," a former USDA scientist says. "Cannibal cats, cats eating dogs—I don't see the logic." 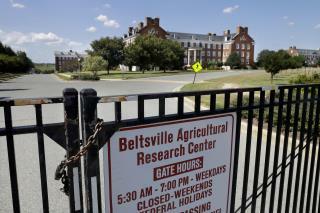 The experiments were carried out at the Animal Parasitic Diseases Laboratory in Maryland. Experiments there in which cats were intentionally infected with T. gondii, the parasite that causes toxoplasmosis, killing the cats, had already drawn criticism. "The details of these kitten experiments keep getting worse," says Florida's GOP Rep. Brian Mast, who has co-sponsored a bill to stop those experiments. What is wrong with eating pets? That is what the USA did 75-175 years ago. "... I don't see the logic." Hummm... somehow feeding horses to dogs is ok though. And let's not forget the availability of horsemeat hamburgers in NYC (among other places). Fact of life: Everything eats something. Be glad you're at the top of the chain. Problem is, they're The White Coat Waste Project, a nonprofit watchdog: they need to be a nonprofit watchcat.